Take this adorable pattern & run with it! It looks great in all kinds of fabrics. 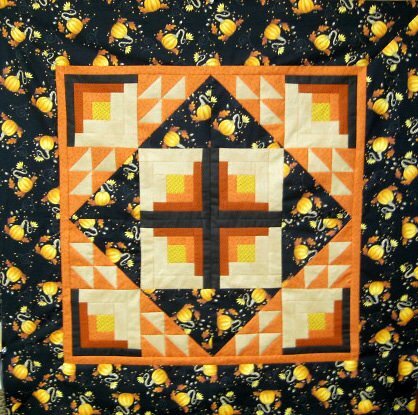 The pumpkin quilt measures approx. 35" finished & has 6" blocks. The other tthree have bigger borders! Check out the one with the black that Linda made! Sue the purple one!